A touchy-feely treat when you’re waiting for Santa to come. Soft red hats. Shiny stars. A whole book of Christmas magic. Can you feel it? YES! 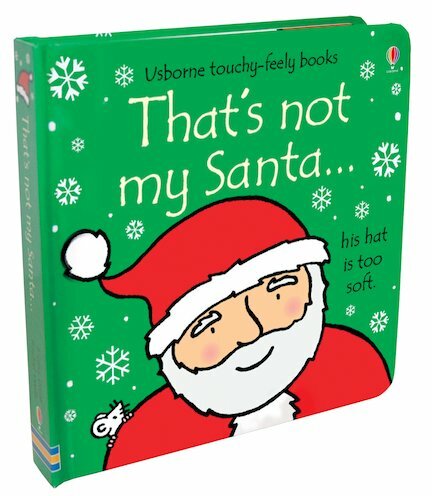 We think this Usborne series is the greatest, and this novelty book really has it all. Starry winter skies, present-laden sacks, snowy chimneys. And lots of Santas, of course. Touch squashy boots. Stroke a fluffy beard. Feel a sparkly sleigh. Simple but perfect. My son got this bought for him at christmas to add to his collection of these books. This one is good with lots of colourful pictures.